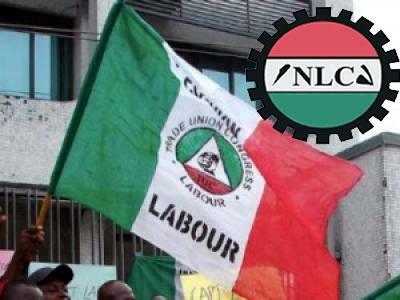 The Nigeria Labour Congress (NLC) kicks against any move by the government to inflict further hardship on Nigerian workers through the removal of subsidy from petroleum products. The Ayuba Wabba-led faction of NLC, said the national interest had always been the driving force of the congress. Comrade Wabba stressed the need for the government to respect collective bargaining process. He stated that Nigerian workers should not be treated like slaves in their country. At the emergency Central Working Committee meeting at the Labour House, the organised labour said the recent proposed removal oil subsidy was an attempt to punish the masses and that the labour would resist it. He expressed the fears that the pump price of petroleum product could be increased by 2016 instead of being reduced because of the fall in the international market, adding that he would mobilise the workers to resist any increase. Wabba also advised the government to put the refineries in place instead of refining the product outside the country. He said labour opposes the recent plan to increase electricity tariff, adding that the issue of other charges outside the consumption charges was abnormal. He said the removal of fixed charges on electricity tariff was long over due as according to him, the masses were paying for services that were not provided. NLC also backed the planned strike by the Senior Staff Association of Nigerian Universities, SSANU, over the removal of staff of universities staff schools from the government pay roll. He said, SSANU as an affiliate of NLC, has the right to make demands and that the position of SSANU was the position of NLC.